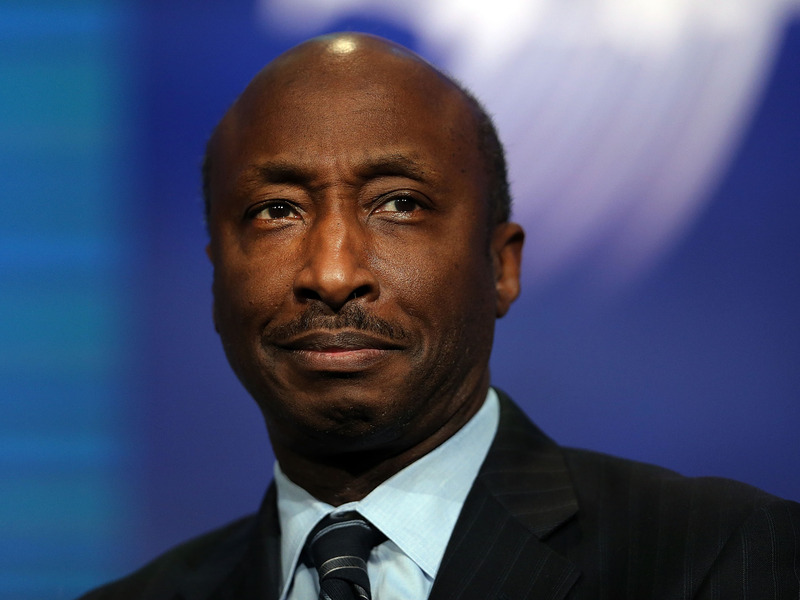 Kenneth Frazier grew up in a deeply unequal America, and would eventually ascend to become the CEO of US drug giant Merck. Today he is one of just three black CEOs in the Fortune 500. Over the course of a remarkable career, Frazier attended Harvard Law School, helped free a black inmate from death row, investigated the Penn State child sexual abuse scandal, and stood up to President Donald Trump after Charlottesville. Read on for Frazier’s life story, in his own words. Frazier is one of Business Insider’s 10 people transforming healthcare. Kenneth Frazier has the type of life story more often seen in movies. Growing up in a deeply unequal America, Frazier would eventually ascend to the highest ranks of the American corporate hierarchy. 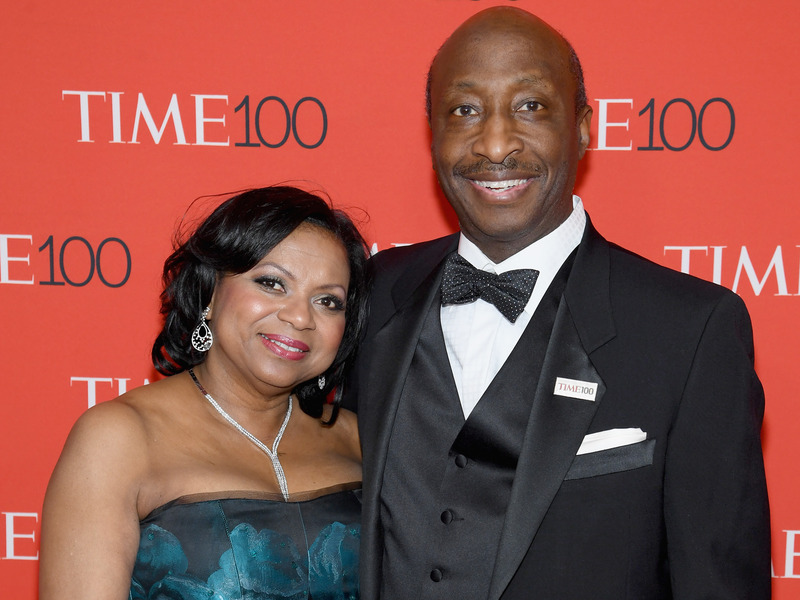 The 64-year-old has been CEO of $210 billion drugmaker Merck for a very successful, nearly decade-long run, and is today one of just three black CEOs in the Fortune 500.
Business Insider named Frazier to our list of the 100 People Transforming Business to recognize his accomplishments both in and out of the pharmaceutical industry. That personal history has been hugely influential in shaping his path in life, Frazier has said, especially his father, Otis, who worked as a janitor but wanted more for his kids. "My father’s view was that ‘Frankly, people will try to stop you,’" Frazier recounted recently, during an intimate and wide-ranging speech at the New York City Bar in March. "’But there’s only one question, Ken, and here it is Ken,’ he would say: ‘Can you be stopped? That’s the only question.’"
For Frazier, the answer apparently is no. Frazier’s grandfather was born into slavery in the south, and sent his son Otis north so he wouldn’t be a sharecropper. Fiercely intelligent and self-taught, Otis Frazier worked as a janitor. When Kenneth Frazier’s mother died young, Otis raised their kids as a single parent in Philadelphia. Born in late 1954, just months after the landmark school desegregation case Brown v. Board of Education, Frazier would later be bused across town as part of an effort to desegregate schools. Frazier went on to graduate from Harvard Law, and while working as a lawyer, got involved in a case where he helped free a black inmate from death row. The case came "at a time when I had a new baby at home, and wasn’t really eager to take on another pro bono case," Frazier said. But he did, "and there began the greatest adventure of my entire life." In 1992, he would get hired in-house at Merck, and was later tapped by the the company’s then-CEO to work in different departments of the business. Frazier described that moment as "a formative decision point in my life," because "I still think of myself as a lawyer, but I’m not just a lawyer." As he rose up the ranks at Merck, Frazier became known for a high-risk legal strategy he led around the widely-used painkiller Vioxx. Merck took the drug off the market in 2004 after research found taking Vioxx in the long-term increased patients’ chance of heart attacks. Lawsuits against Merck piled up, so numerous that experts at the time said the company’s future was at risk. But Frazier led a successful, though expensive, legal battle against each individual suit — allowing Merck to settle the affair for just $5 billion in 2007. That experience paved Frazier’s path to the C-suite, and he was appointed CEO in early 2011. It was also a year that Frazier’s alma mater, Penn State, was being racked by accusations of child sexual abuse that raised questions about the conduct of the school’s iconic head coach, Joe Paterno. Penn State’s board was looking for someone to run its task force looking into the Paterno case. Frazier was asked to take the job on, and he did, calling it "one of the hardest things I had ever done in my entire life." Another pivotal moment in Frazier’s career came about two years ago. After a deadly gathering of white supremacists in Charlottesville, North Carolina, President Donald Trump had failed to condemn it, or white supremacy. Frazier was one of a number of business leaders on a presidential council at the time, and he remembers that moment precisely. He had been furniture shopping with his wife, Andrea, in New York City, and immediately said to her, "I have got to get off this business council," Frazier recounted. It was a resignation that resonated across the business community, with Frazier leading an exodus that would spur Trump to eventually shut down the council entirely. The following year, he was named to Time Magazine’s list of the 100 most influential people. While at Merck, which has a market value of more than $200 billion, some of Frazier’s proudest accomplishments are the company’s bestselling cancer drug Keytruda and the cervical cancer vaccine Gardasil, he told Business Insider in an email. He also noted Merck’s work to develop an experimental Ebola vaccine that was deployed in partnership with the World Health Organization last year and "has helped in rewriting the playbook in terms of public health officials’ response to this frightening disease." Frazier said he’s also proud of initiatives that began before he took the CEO role, including a decade-long, $500 million initiative to prevent the deaths of pregnant women around the world, which began in 2010. To hear Frazier tell it, who he is has everything to do with what he has accomplished. His father’s example and words of guidance have also helped him keep the stresses of a high-powered career in perspective, he said. "This man scrubbed floors for a living, and sometimes I do feel the pressure of being inside Merck. But I can hear him now, ‘Wait a minute, I read the proxy statement, you ain’t scrubbing no floors, you aren’t breaking your back,’" he said, laughing. "’You wear a nice suit and Hermès tie, how bad can it be?’"